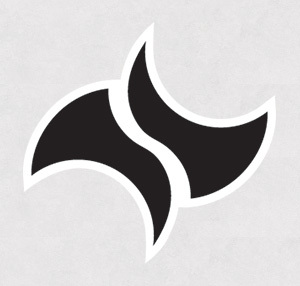 With the new policy of Wizards of the Coast updating their website at 11 AM Eastern every day, obtaining spoilers from the Mothership has become a difficult thing. 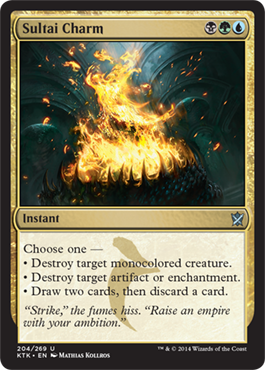 We're not available to update spoilers every day as our backup posting time (1 PM Eastern, primary post time is 6 AM) makes it close with two hours to update the spoiler page AND write up a post detailing all the cards, so we're trying something new this set: Doing a weekly recap every Friday at 1 PM. So let's get on with it! 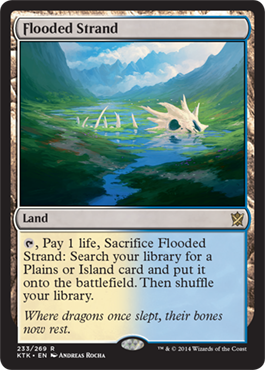 With brand new art to reflect the dragon skeleton littered landscape of Tarkir, we have the allied color fetchlands first printed in Onslaught. 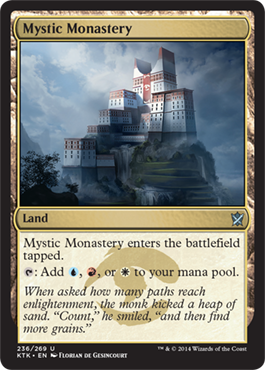 Many people have been hoping for these in Modern, and with Khans of Tarker, these are now available. 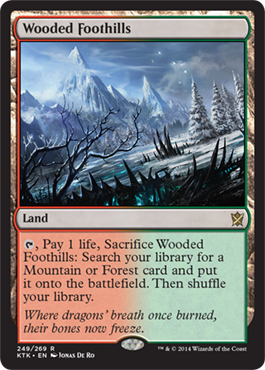 Additionally, it slashes the prices of these from between $60 and $100. 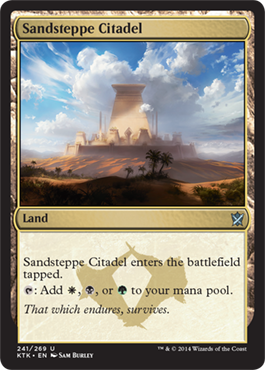 The new versions are about $20 preorder from your favorite store. 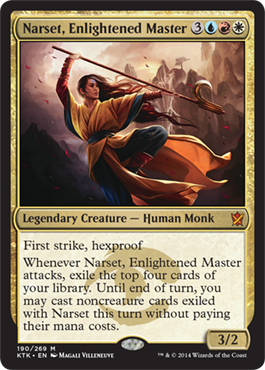 That's right, with Khans of Tarkir being a wedge-based set, we get the uncommon trilands for wedge colors just like we got shard trilands in Shards of Alara. 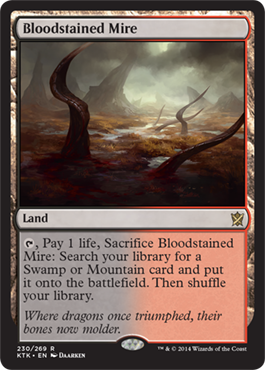 These will help wedge EDH decks and will likely make Standard an interesting environment with these. 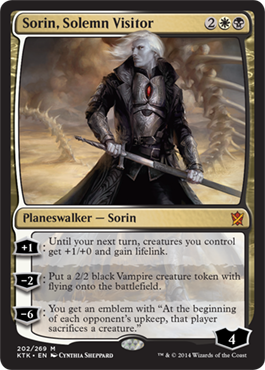 We have both planeswalkers from the set (large sets get two or three planeswalkers depending on how many large sets are in the block, which is two in this case) and Sarkhan was expected, and due to Sarkhan's connection to Ugin, Sorin has appeared to find his old friend who helped seal the Eldrazi on Zendikar. 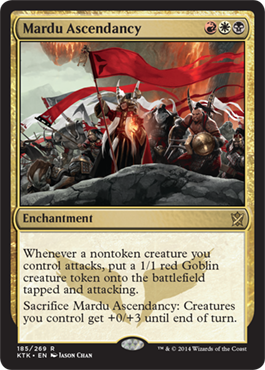 Mardu Superfriends anyone? 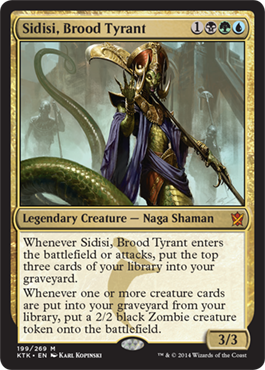 That's right, Nicol Bolas didn't lie. 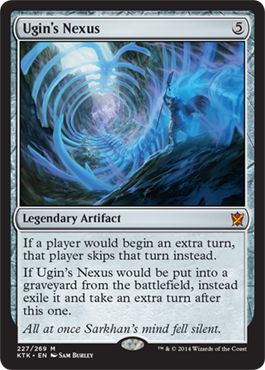 Ugin is dead, but Ugin's Nexus has something to do with the second set's time travel. 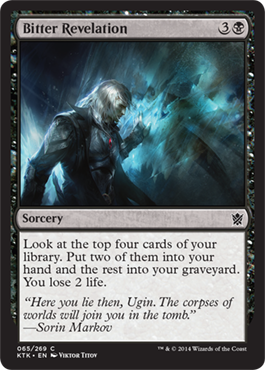 Oh, and Ugin's Nexus is Ugin's skeleton. 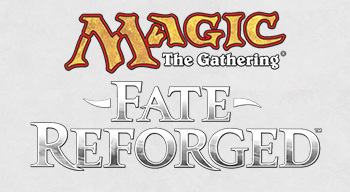 The second set's name has been revealed! 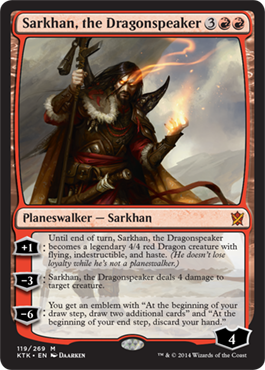 Fate Reforged sounds like there is some time travel to change the future, and also that is Ugin above Sarkhan! 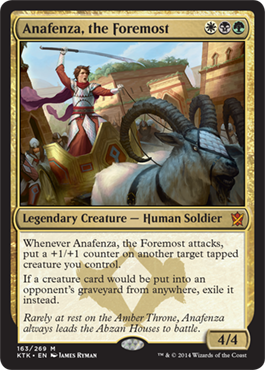 We have four of the five khans revealed. 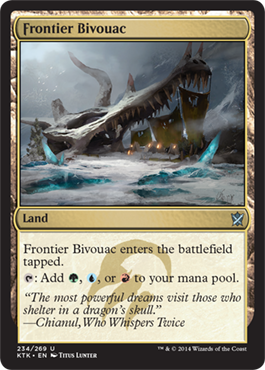 We're missing Surrak Dragonclaw from the Temur. 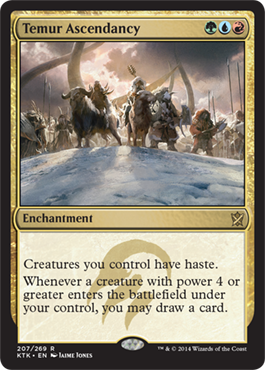 There is a cycle of charms in Khans of Tarkir! 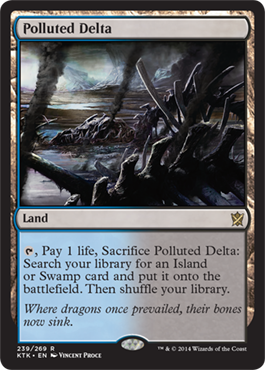 We only have the Sultai Charm, but we'll find out more as time goes on. 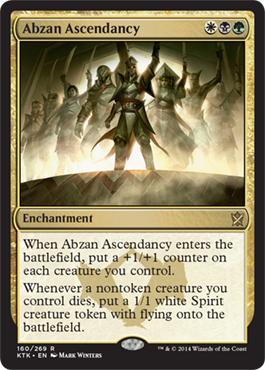 There is also an enchantment for each clan named <CLAN> Ascendancy. 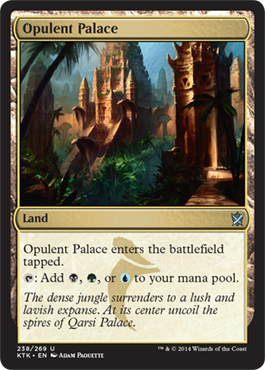 So far we only have Abzan, Mardu, and Temur, but we'll see Jeskai and Sultai soon enough. 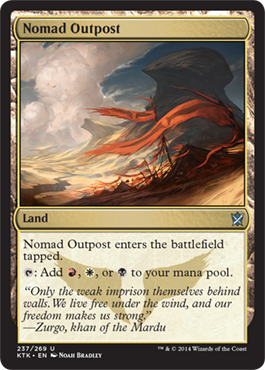 Want more information on Khans of Tarkir, other spoiled cards, promo information, and Khans of Tarkir artwork? 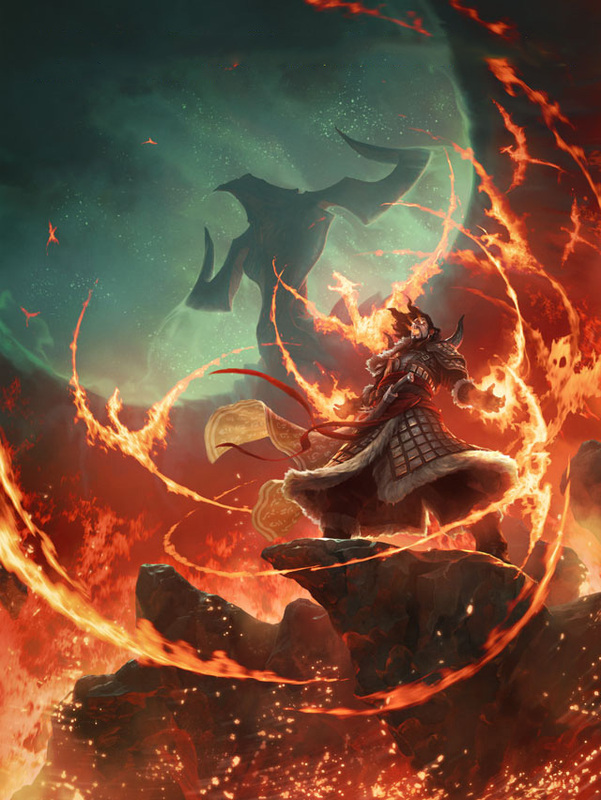 You can find all of that and more on our Khans of Tarkir spoiler page. 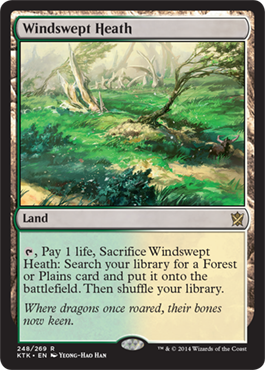 See you again next week!